On the 25th of March this year (2016), I boarded an AREX train at Seoul Station bound for Incheon International Airport, thus bringing to a close almost exactly a decade’s residence in the Republic of Korea’s capital. 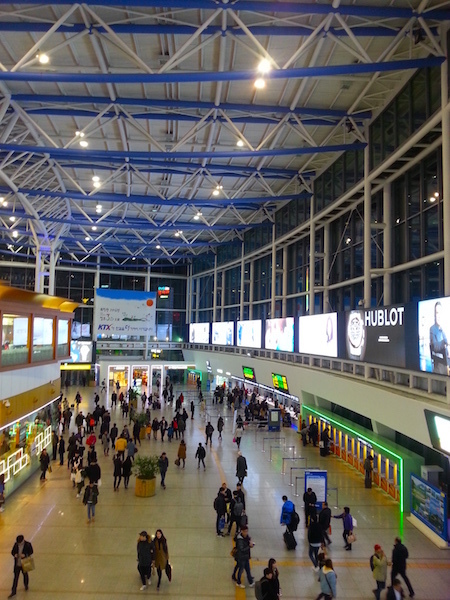 The main concourse of Seoul Station at night. I have lived nowhere longer as an adult. In fact, I’ve also lived in no apartment or house longer than in my second and last apartment in Seoul, located in the then low-rent but now rapidly gentrifying neighbourhood of Haebangchon, affectionately known as HBC among anglophone foreigners. My living room in HBC circa 2013. 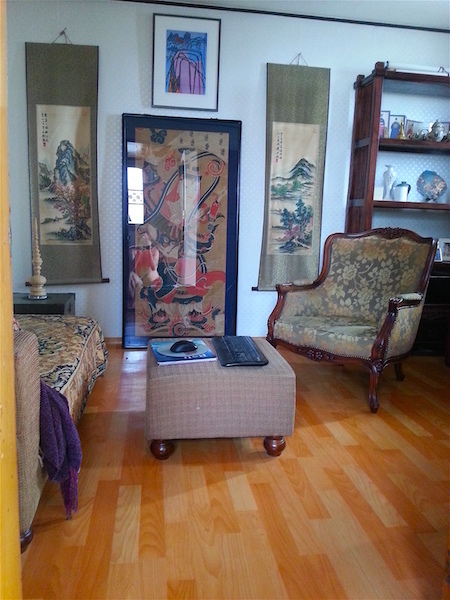 This apartment was in fact the catalyst for the creation of Lotus & Persimmon. Visitors used to remark jokingly that the place looked a curio shop. I began to think that perhaps I could make that literally true, and so an idea was born. I had long been an aficionado of antique shops and flea markets, so much so that my collection of furniture, artwork, and curiosities was threatening to overwhelm my one bedroom flat. Some of it had followed me from previous homes in Ho Chi Minh City and Bangkok — I lived in Asia for 19 years — not to mention my travels elsewhere in East and Southeast Asia, but much of it I acquired in Seoul. 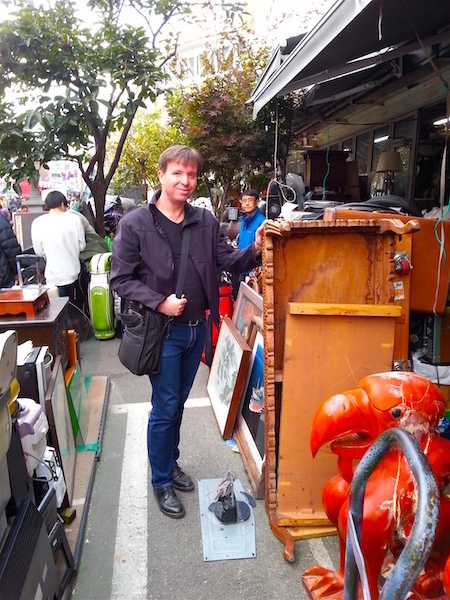 Your host in action at the Seoul Folk Flea Market. 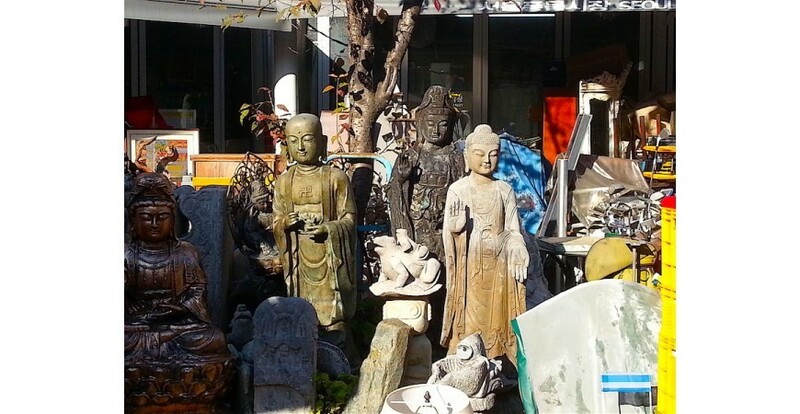 In fact, I became such a regular visitor to the vast flea markets of eastern Seoul that I eventually began to lead walking tours there for the Korea branch of the Royal Asiatic Society, of which I am a life member, and on whose council I sat for several years. 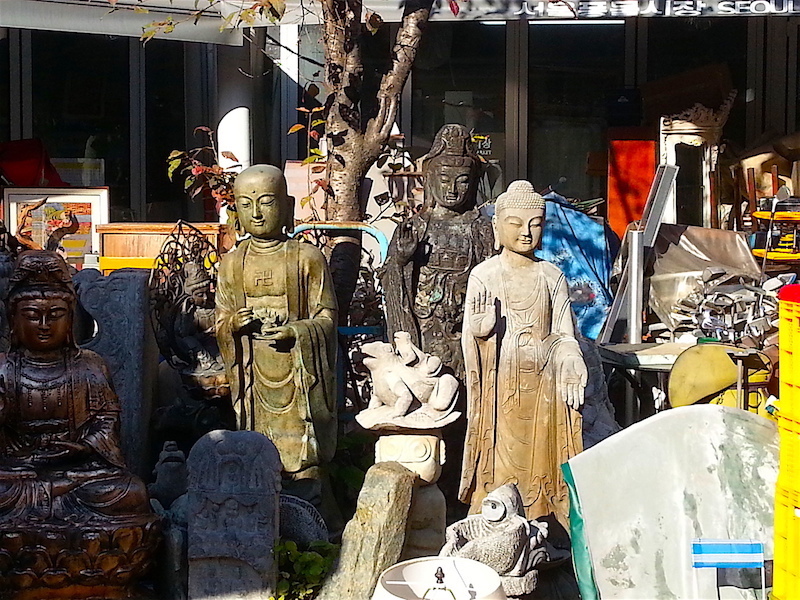 Buddha statues at the Seoul Folk Flea Market. To make a long story short, my personal collection has turned into this website and blog. Now that I’m resettled in my home country, Canada, I look forward to sharing pictures of my collection, stories from my travels, travel reviews, and Asian art and culture news and opinions. 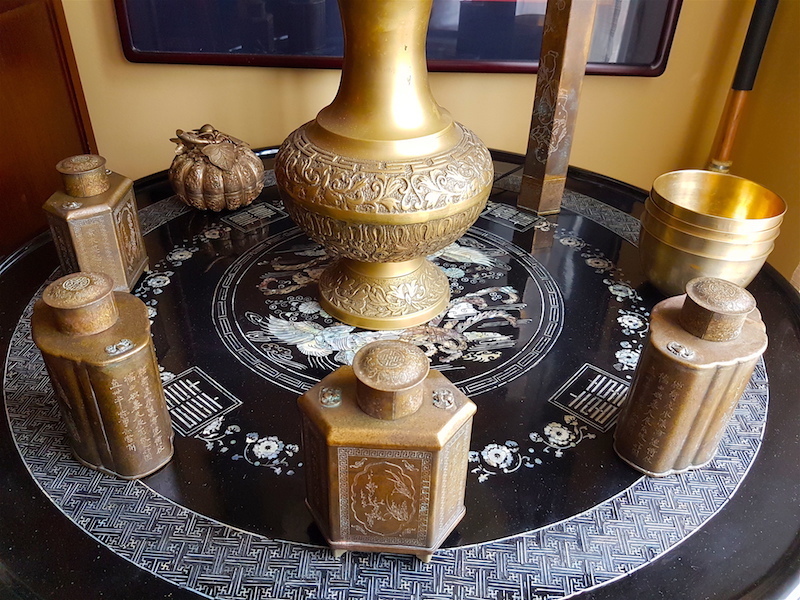 Some of the Lotus & Persimmon brassware collection sourced at the flea markets of eastern Seoul. On July 4th, 2017, website sales will begin. Why the delay? I imported my collection as my household goods, which means I cannot sell any of it for at least 12 months, according to Canadian customs regulations. If you see something you like, please be patient! The summer market season is about to start, and L&P headquarters is about to move. Read about it here! I love all kinds of Korean food, but I've narrowed my favourite dishes down to just 3.